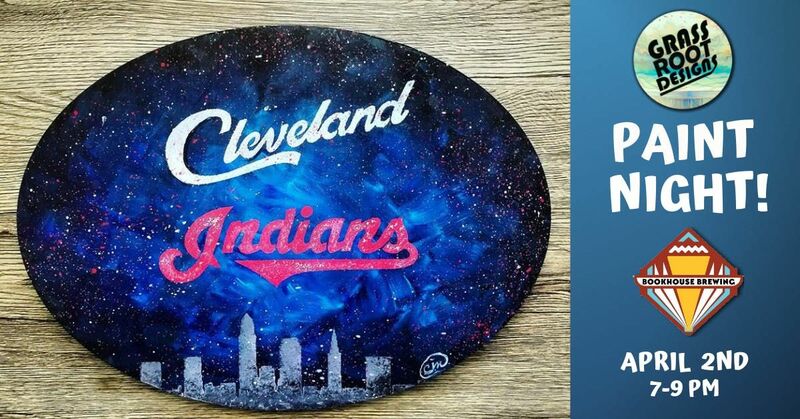 Help welcome in our #TRIBE this season by painting your own Cleveland Indians themed wall art to display in your home or office! Your artist, Cory Allen Manley will guide you step by step in this acrylic painting workshop while painting on a custom cut wooden oval as the canvas. 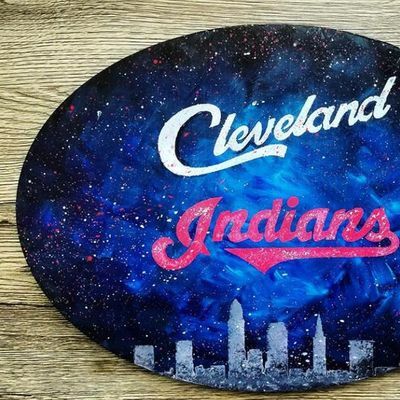 There will be several Cleveland/ Indians themed stencils to utilize for this workshop to ensure your painting comes out very similar to the example! We will be painting at the beautiful and very cozy, Bookhouse Brewing in Ohio City! Help support a brand new Brewery to our beloved city! They have a wide range of beers brewed fresh on the spot! For anyone who is not a beer drinker, wine will also be available. NO outside beverages are permitted as we are here to support the brewery! Please RSVP by purchasing your Eventbrite ticket directly in the event page. Tickets are limited to 20 painters and will sell fast! We look forward to a fun and creative evening together!